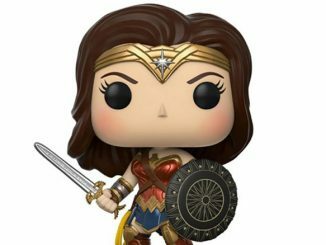 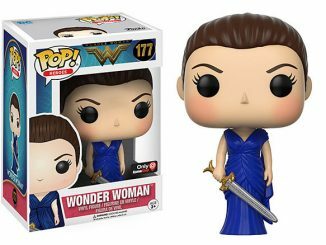 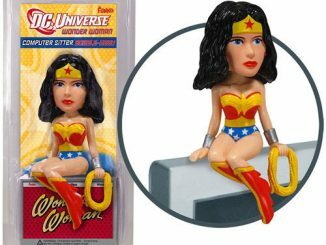 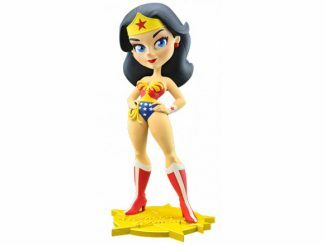 Everyone’s favorite Amazon gets a shiny new look with the Wonder Woman Platinum Edition Vinyl Figure. 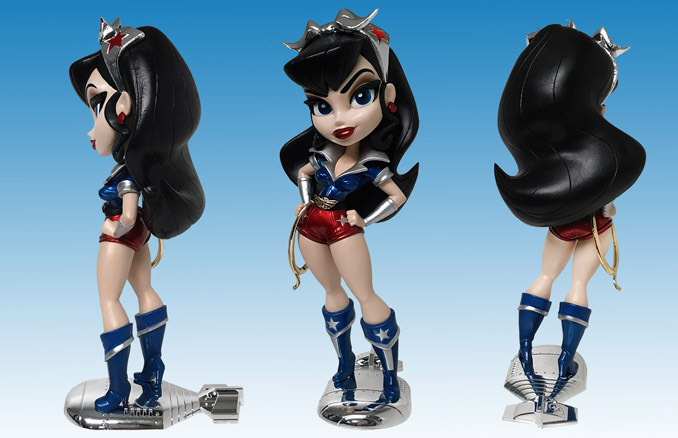 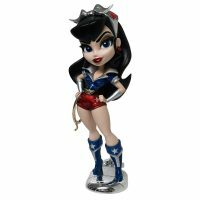 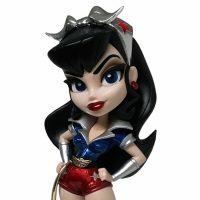 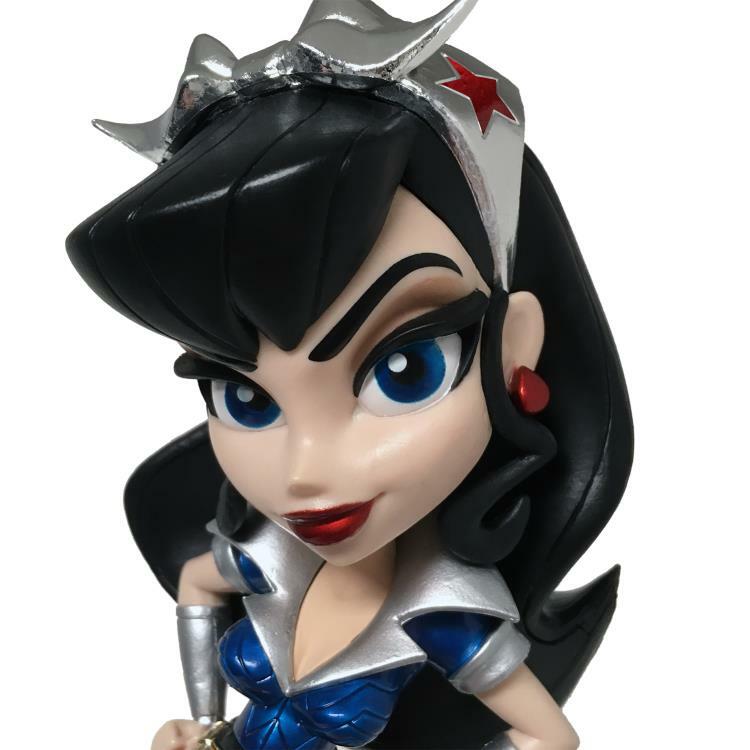 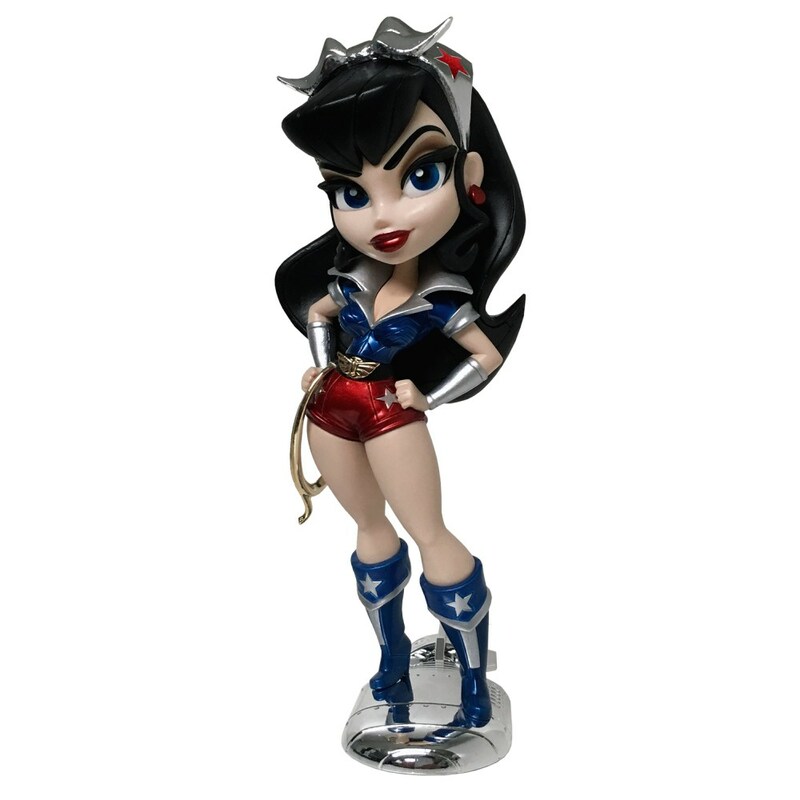 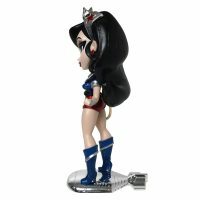 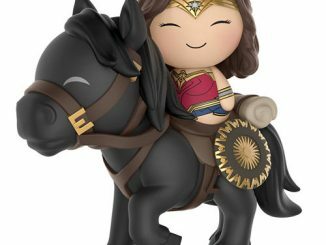 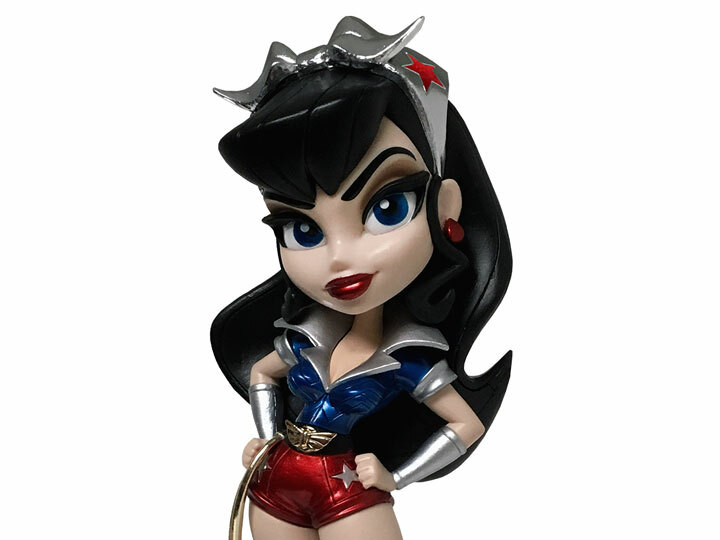 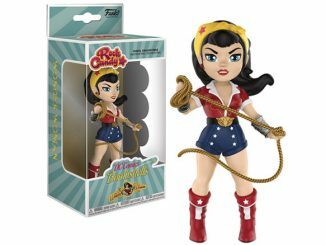 We’ve already seen the DC Bombshells Wonder Woman go black and white (with a bit of red and blue) as the SDCC 2016 Wonder Woman Noir Edition Vinyl Figure, but this version of Diana is filled with eye-popping color. 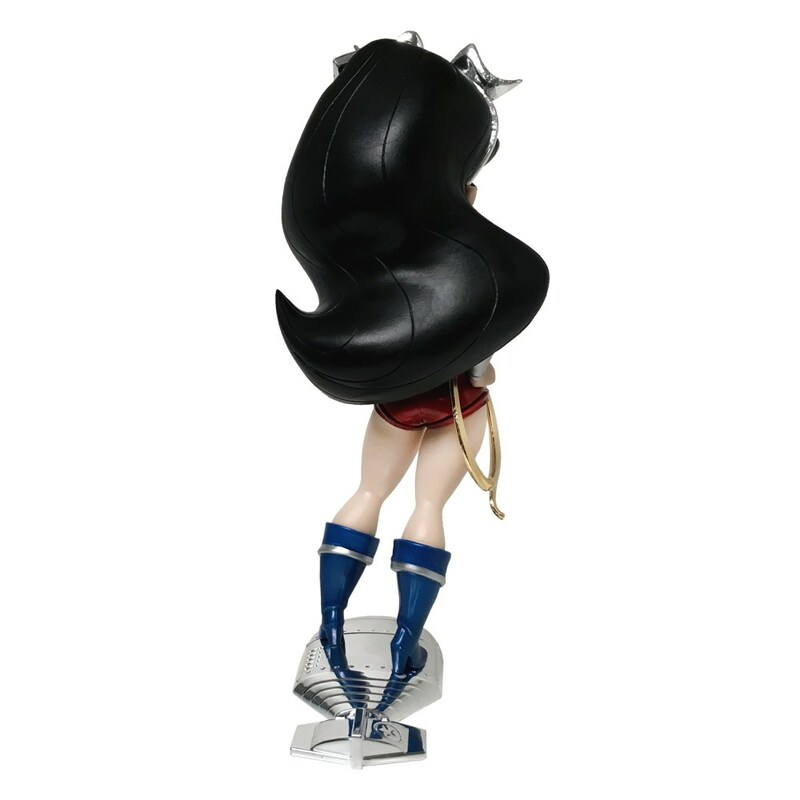 Standing approximately 7-inches tall, the exclusive vinyl figure has been accu-metal finished. 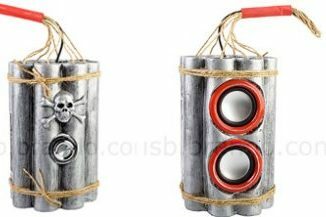 I don’t know what that means, but it sounds and looks very cool. 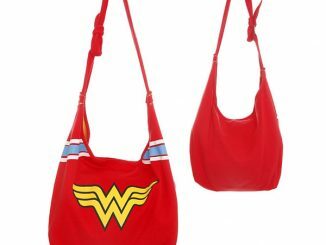 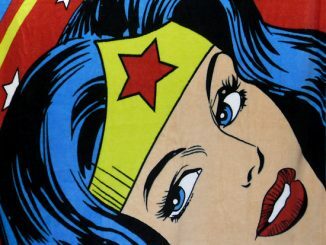 Dressed in her iconic vintage Bombshell outfit, Wonder Woman stands defiantly on a shiny silver bombshell base, ready to take on the Nazis and any other villains who need to be dealt with. 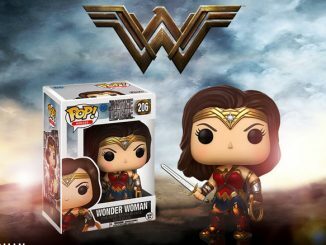 Coming September 2017. 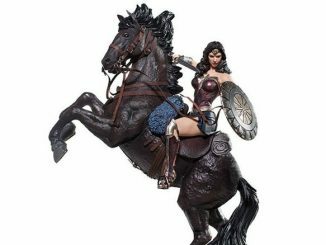 Pre-order now for $29.99 at Entertainment Earth.